Who doesn’t love to slurp the leftover milk from their favourite cereal in the mornings? I have taken the sweet milk from soaked cereal and turned it into a creamy panna cotta that is both nostalgic and delicious. You can use your favourite cereal for this recipe and the same method will apply, i think Cocoa Pops or Cinnamon Grahams would be cracking! 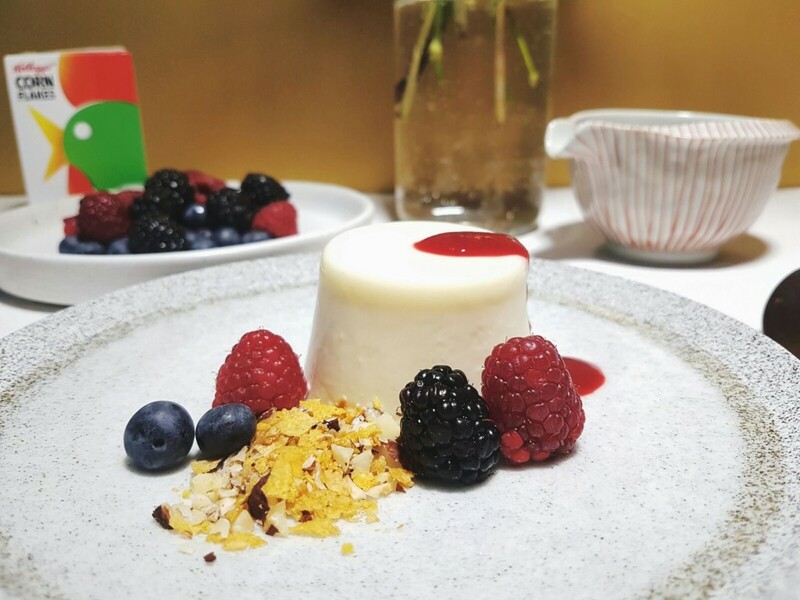 Served with a tart raspberry coulis, cereal crumb and fresh berries, you can wow your friends with this inventive dessert at your next dinner party! 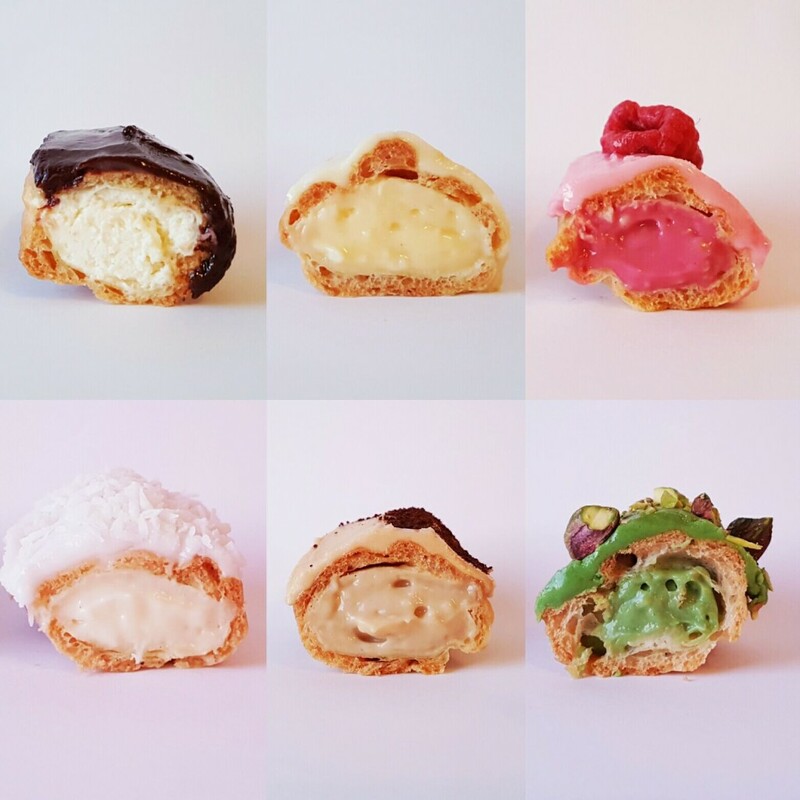 Surprise your Mum this Mother’s Day with these gorgeous choux pastry eclairs. Filled with rich crème patisserie and topped with sugary sweet icing, take your pick on what flavour combinations suit your fancy, from coconut, pistachio, espresso, raspberry, passionfruit and decadent chocolate. You will need a piping bag, 1cm star nozzle and a skewer. 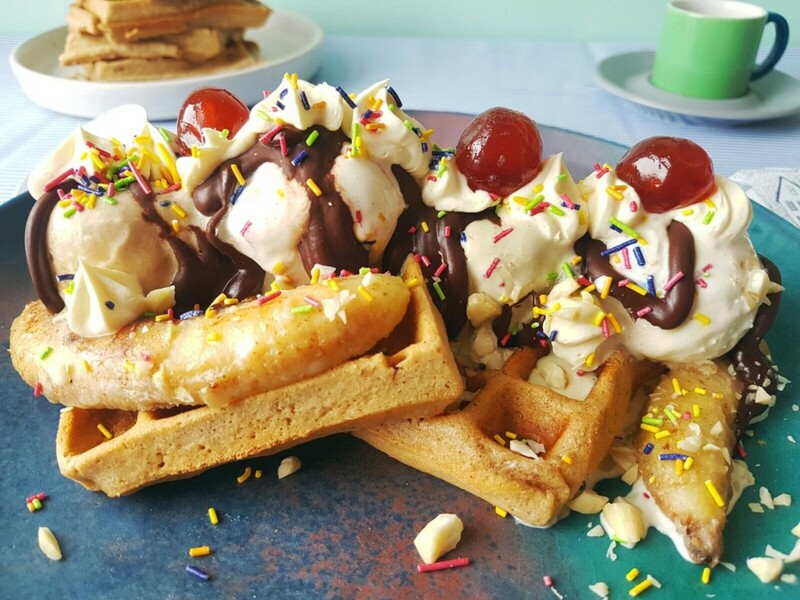 International Waffle Day is here and I am celebrating with my version of a waffle banana sundae, with sweet cinnamon waffles, butter fried bananas and an oozing chocolate sauce that you can drizzle over store bought ice cream. Decorated with sprinkles, chopped nuts, whipped cream and glace cherries, this is an incredibly easy recipe that will make anyone wish it was International Waffle Day every day! You will need a waffle machine to make this recipe. 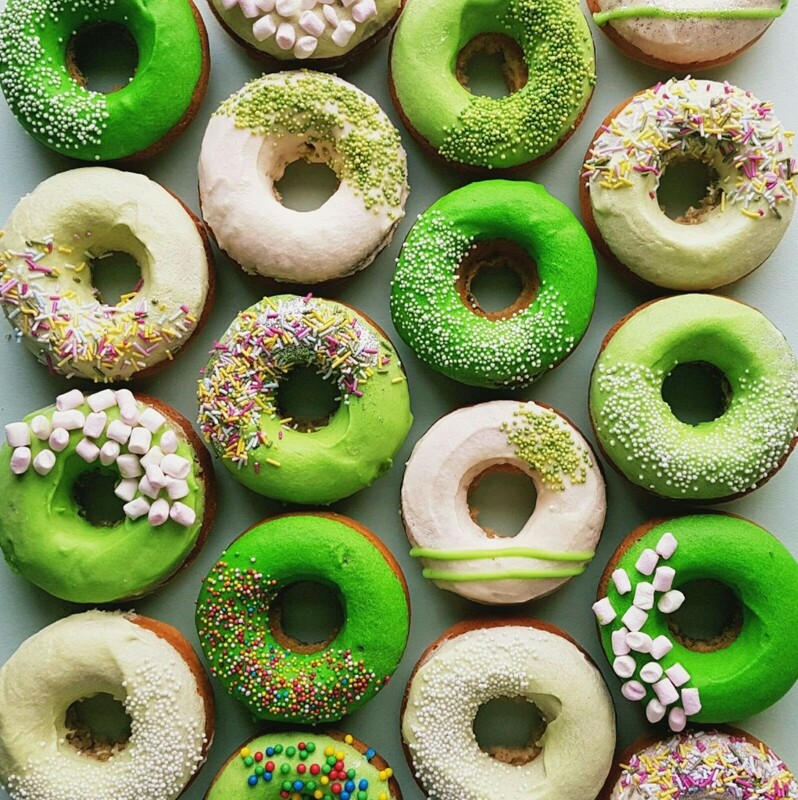 Celebrate this St. Patrick’s Day with my delicious matcha tea and vanilla green-themed doughnuts! These awesome treats are a healthier baked alternative to deep fried doughnuts and they don’t compromise on taste or texture. Finished with an easy icing glaze, you will have a blast decorating these with your favourite designs. You are going to need a doughnut tray which you can find fairly easily, and cheaply, online or in your local cook shop. 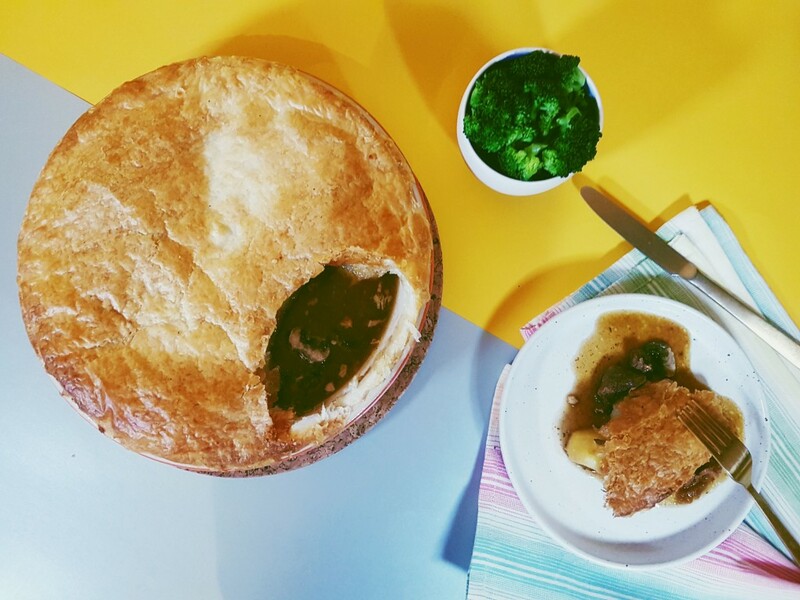 This easy slow cooked pie is well worth the wait with beef that is falling apart and packed with flavour. Served with potato, bacon, mushrooms and ale, it is topped with store bought puff pastry to mop up the juicy sauce. Find the recipe here.